In light of the many crimes that have been plaguing Jersey City, youth from the Jersey City Cross Community Engagement (JCCCE) held a town hall meeting hosted by Implementing Partner Doris Johnson on Tuesday, April 25th at the Christ Our Savior Lutheran Church, located on Brinkerhoff Street in Jersey City. JCCCE was introduced by the Global Peace Foundation, a global faith based organization. Through JCCCE youth citizens are able to connect and bring forth ideas that will bring about conflict resolution and introduce new ideas to adult leaders for them to implement in their community. During this Call for Action a youth panel ranging in ages nine through seventeen discussed concerns, and asked a series of eight questions. One question posed concerning their grieving process was: If a family member was murdered unintentionally, what should they do? Are they supposed to just protest and carry signs? Questions such as this shows Doris Johnson, and other adult leaders, that the youth have heavy concerns. After the discussion the youth signed a pledge and enjoyed a light refreshment. Members of Global Peace Foundation Ry’yana King and Amber Davis shared with HudInfoNews their experiences. Both have participated in the Stop the Violence Rally held by the Jersey City Anti-Violence Coalition Movement (J.C.A.C.M. ), and Community Uplifting Project earlier in April. Ry’yana told us she likes being involved in community activities that empowers the youth and “gives them a voice”. 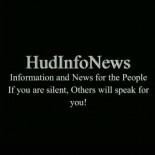 This entry was posted on May 4, 2017 by HudInfoNews in advocacy, Community, discussion, Information, jersey city, non-violence, organizations, Proactive Concerns, public safety, rights, safety, solutions, Uncategorized, unity and tagged advocacy, children, city, concerns, crime, justice, news, people, rights, students, support, voice.